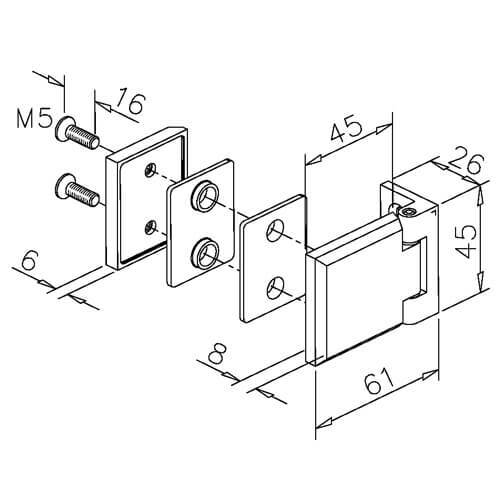 Stainless steel door hinge for a glass to wall fixing designed to accommodate glass panels from 6mm to 10mm thickness. 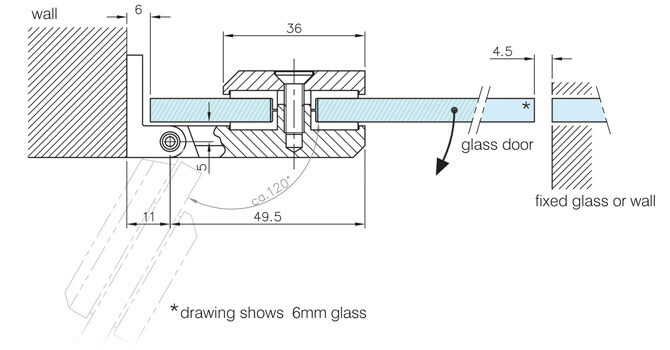 Glass will require professional drilling.. 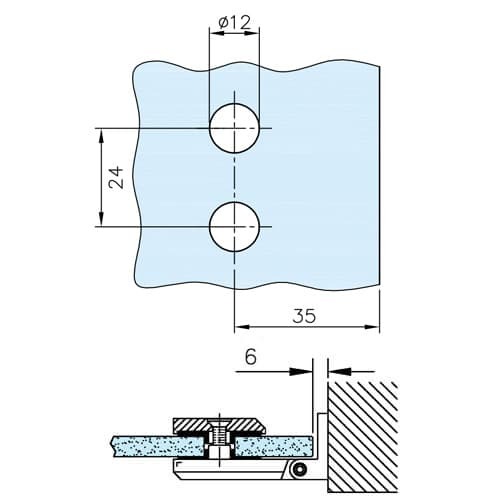 Allows for 120° of door movement. 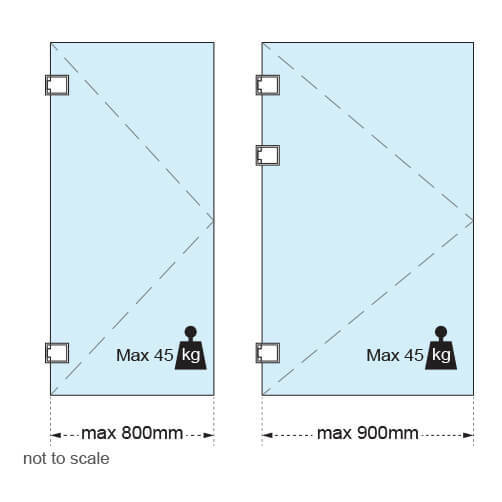 Maximum loading of 45kg for doors 800mm and 900mm wide. Great product great service. And price. Product is robust and well made. It would be helpful if the drilling instructions were included instead of needing to be looked up on line. 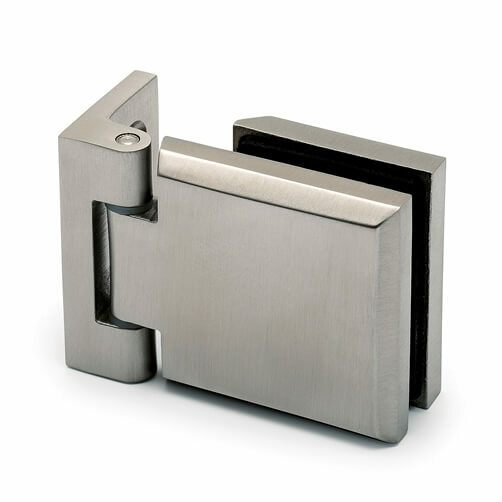 High quality product with a sturdy hinge.